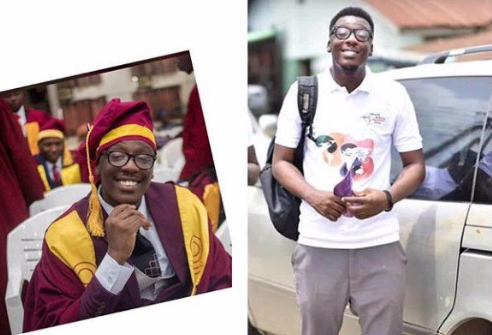 Dr Stephen Urueye received his first salary as a House Officer with Lagos State Teaching Hospital (LUTH) the same day he was stabbed to death, his colleagues have disclosed. Urueye was among the 8,000 students that graduated at the 50th convocation ceremonies of the University of Lagos (UNILAG) on Wednesday. He died a day later. 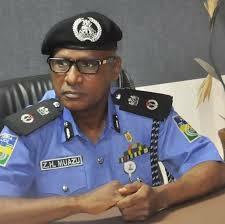 Two persons were on Friday arrested as his colleagues protested his killing by armed robbers. Lagos State Police Command Public Relations Officer (PPRO) Bala Elkana, a Deputy Superintendent (DSP), who described those arrested as “hoodlums,” said they were arrested at the spot where the late Urueye was stabbed. According to his colleagues, he was the only child of his mother, who is a widow. He was stabbed near the teaching hospital’s gate, Idi-Araba, Mushin while returning to LUTH by armed robbers, who wanted to rob him of his valuables. With blood gushing out from his thigh, he ran into the LUTH compound where he was taken to the Accident and Emergency Centre (A&E). He was later transferred to the Intensive Care Unit (ICU). There, his fellow House Officers and senior doctors battled all through the night to save him. Their efforts proved abortive when he gave up the ghost around 3am on Friday. Emotions ran high in LUTH, Idi-Araba on Friday as soon as news of his death broke with many medical students of LUTH embarking on a protest. The protesters carried placards with various inscriptions, calling for justice for the victim. According to them, Idi-Araba has been overtaken by armed thugs. They called on the government and security agencies to beef up security in the area. They lamented that they have complained severally to the management of the hospital as regards incessant attacks of fellow students in Idi-Araba by armed hoodlums.